Planning and staying organized is one of my favorite things about life. I know that sounds corny, or crazy, but I thoroughly enjoy having everything in order. As a studio owner, you may be feeling anxious about your recitals, or not worried at all. Either way, Dance Informa is here to make sure you are on the right track to staying organized for the best recital of your studio yet! Here are eight items to think about now when it comes to planning your studio’s next recital. That is the question. If you do decide to create a recital theme, now is the time so that you can begin informing your teachers about the kinds of songs and dances they should be planning under your theme. If you choose to do a general theme, or celebration of dance type theme, it is not as important to nail anything down. However, you may want to go ahead and make the decision about what you’d like to title your recital so that you can check it off the list. Once you’ve decided on a theme (or title), start thinking about the backdrop to your stage. Do you want a cyc, a scrim, traveler, drapery or a new invention in imagery — digital backdrops? Grosh Backdrops is now offering projection-based backdrops that you can control from an app on your computer or phone! You can customize your recital to contain several different backdrops that change at the press of a button. Hopefully, you already have a venue booked for your 2019 recital(s). What you need to begin thinking about now are all of the customized logistics along with your venue choice. Dressing room space, times you are supposed to load in and out, volunteers for ticket taking and so on. 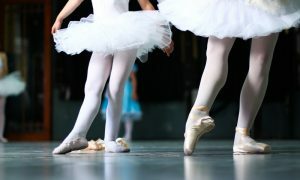 If you start thinking of the small details now, you won’t stress out as much when it’s recital time. Parents love to plan vacations and getaways — sometimes at the most inconvenient times within a dance year. If they know the rehearsal and recital schedule months in advance, they have no excuse but to show up at your rehearsal….maybe…. Think of this item as more of a blueprint to how you want your recitals timed out and lined up. If you have a blueprint or grid of your companies and classes before they start their choreography, all you’ll have to do is plug in the names of dances in the program. Branding and marketing is so important in this day and age. Get on Instagram. Make a recital hype video. Get the community involved. You should be thinking about posters, programs, flyers, and hand-outs galore. I like to keep a running checklist of things to pack for a vacation, or an audition. Why not do a running checklist for your little knick knacks for recital? That way, you can try to avoid any surprises. Some examples: stage tape for marks, Tylenol, medical supplies, phone chargers, extra tights, extra earrings, extra everything, safety pins, rhinestone glue, your lost and found of shoes at the studio that have been piling up since August, and so on. I think ticketing software is the way to go. Feel free to sell tickets at the door and with paper, but buyers and patrons are moving toward a more technology-centric dance world. Whichever way you decide to sell tickets to your recital, begin thinking about your ticket prices, how you are going to sell them, and if you are going to print them yourself — go ahead and buy the necessary paper and ink.